15310 Canongate Dr, Fort Myers, FL.| MLS# 217043132 | Southwest Florida Residential Real Estate for Sale. Captivating lake to golf course panoramic views. Warm & luxurious with a Zero Edge Infinity Pool & gazebo with a Kitchen/bar area; all within a Private Gated Golfing Community. Impeccable attention to details; volume ceilings, amazing wood built-ins, crown molding, Lovely wood floors. Large formal dining room with formal living area greets you upon entering through the beautifully crafted wooden, double entry doors. Exquisite kitchen in warm colors, open a spacious gathering room featuring a gas burning fireplace. Impressive master suite with sitting room which enjoys the views overlooking the Zero Edge Infinity pool. No Chelsea System. Fiddlesticks features 2 championship renowned golf courses, comprehensive tennis program, state of the art fitness center, restaurant, social activities. plus a new club pool with cabana and full-service bar. 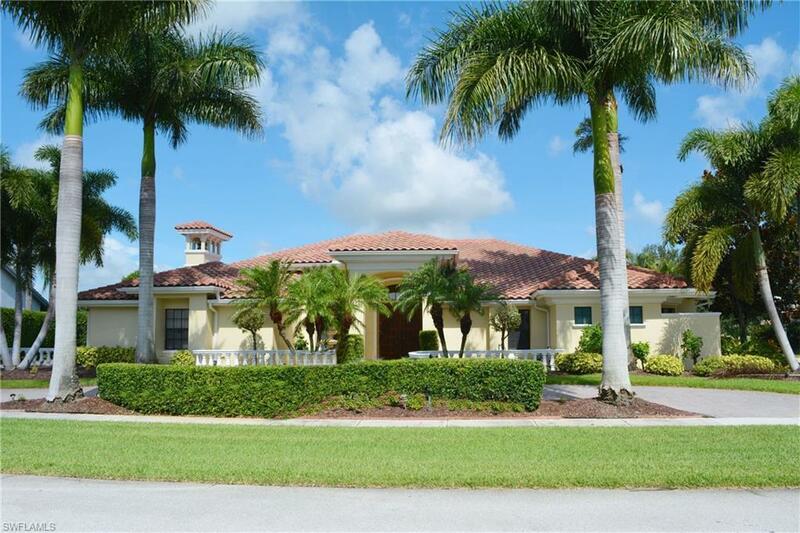 This gated community features 750 acres & 96 acres of interconnecting lakes. NO CDD FEE-HOA fees apply. Equity Golf Community membership fee is due at closing. Buyer acknowledges an annual $1, 600 Food/Beverage min Enjoy what living in Florida is all about!